If you cannot sleep at night and find yourself tossing and turning, how do you finally get to sleep? My answer would be the herb Valerian (Valeriana officinalis). I always keep a supply of tablets or capsules of this useful herbal remedy just in case I need it. It is actually very rare that I cannot sleep but sometimes if I have an important appointment the next day, because my thoughts are going over and over worrying about it, or sometimes if I am very excited about something then I cannot sleep. At times like these I find that Valerian always does the trick. I also use too it if I have a migraine attack or are simply stressed out about something. Where can I get Valerian? Valerian is usually available from health stores and suppliers of supplements and herbal medicines. Just search for the keywords “to buy Valerian” and you should find plenty of entries. 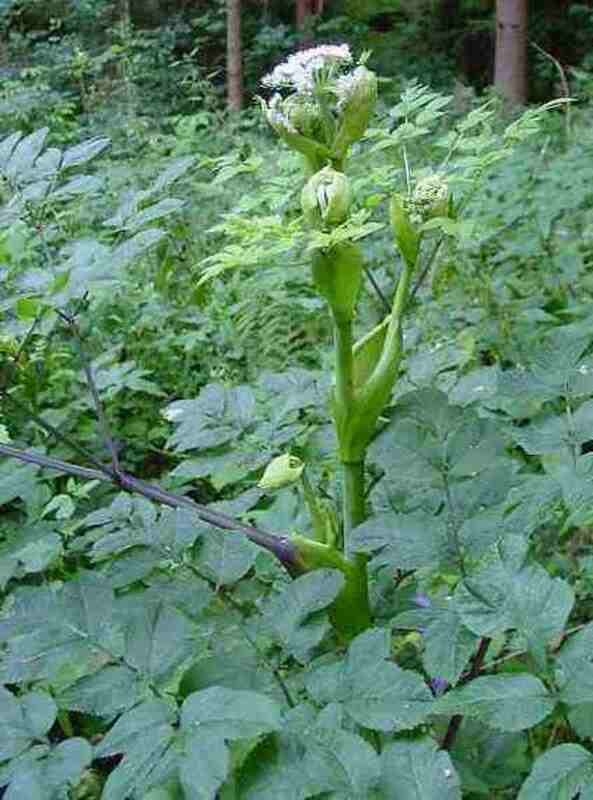 It is sold in the form of tablets, in capsules, as Valerian tincture, and even as dried root from some suppliers. Valerian is also known as All-Heal and Garden Heliotrope. Its names Phew, Phu and Fu refer to the strong aroma given off by its roots, which some people find and unpleasant smell, although having said that, it has been used as an ingredient in perfumes and in the perfumery industry. Valerian grows wild in woods, hedge-banks and grassy places in Europe and other parts of the northern hemisphere but is cultivated worldwide as a medicinal herb. 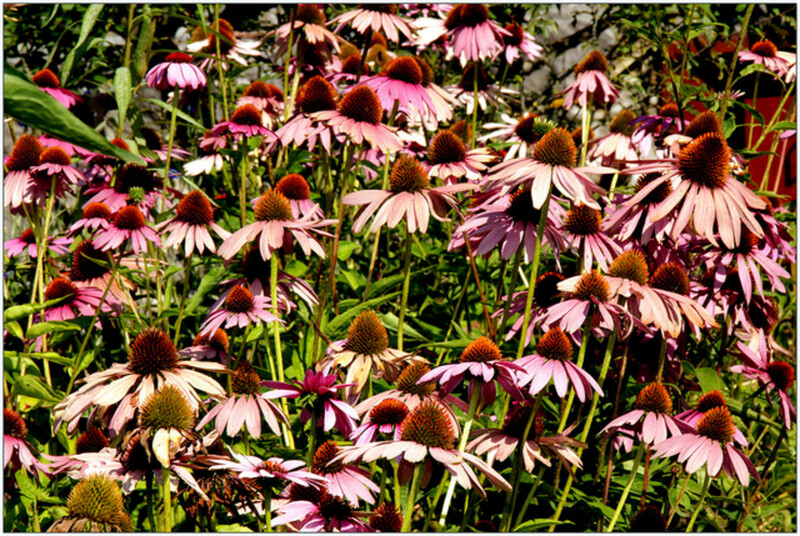 The plant has become naturalized in many parts of North America too. It is easy enough to grow in gardens and will come up each year because it is a perennial plant and grows from its underground rootstock. It likes damp, rich soil and a sunny location. Every summer it will delight you with umbels of pretty pale pink or whitish flowers on stems that reach around 3-5 ft in height. The roots are the part that are used and they are harvested in the autumn and dried out, broken into pieces and stored in airtight containers. It can be propagated by division of the rhizomes or grown from seed. Valerian should not be confused with Red Valerian (Centranthus ruber). This pretty flower which comes in shades of red, pink and white is often grown in gardens and is naturalized in many parts of the world. In the UK it is often found sprouting from the stonework of castles and old ruins, and seen along railway lines. 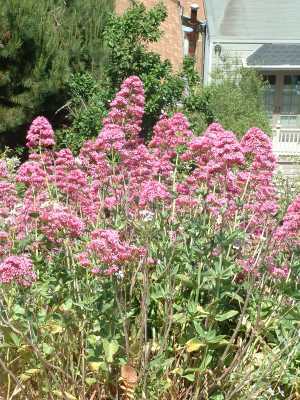 It is a perennial plant and will grow in walls and rocky ground, unlike Valerian that likes damp locations. It is also a flower that butterflies love to feed from. The young leaves can be eaten in salad by humans but otherwise it has no herbal properties. Red Valerian is listed as an edible plant in Richard Mabey's book Food For Free, which is a classic reference book for anyone interested in foraging. The author informs us that Red Valerian leaves were once popular in France and Italy where they were boiled as greens and eaten with a knob of butter on them. Valerian is mainly used for its sedative and tranquilising properties but can also be used as a treatment for headaches and migraine, as well as for relieving spasms. In the World war it was employed against shell shock. Valerian is said to lower blood pressure too. A word of caution is needed though because excessive amounts cause headaches and the heart rate to race. The effects of Valerian can also be addictive so should not be used over a long period of time. 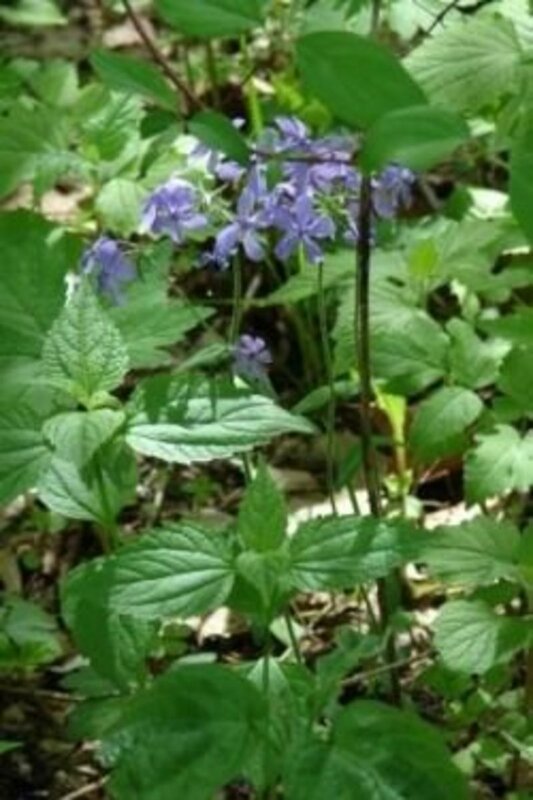 Valerian should also be avoided by anyone suffering from liver disease. Valerian is one of several herbs that are known as "cat-psychoactives." This is because the herb contains actinidine and other alkaloids that have a euphoriant effect on cats. The Catnip or Catmint (Nepeta cataria) is another herb well-known for having such properties. The animals love to roll around on the clumps of the herb. 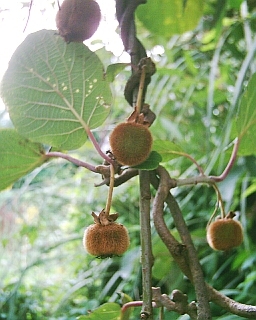 Kiwi fruit vines (Actinidia species) are other plants that have this strange effect on cats. The animals will scratch the ground around where the roots of the vines grow and roll around in delight. I happen to know this because I once successfully grew Kiwi Fruit on vines I had cultivated in my back garden in Ely, Cardiff. I grew them from seeds from a fruit I bought in a local shop. I actually managed to make the local news too when the South Wales Echo ran a story about my achievement. Because Valerian has strong sedative properties I included the plant in my book Herbs of the Northern Shaman – A Guide to the Mind-altering Plants of the Northern Hemisphere that was published originally in 2002 by Loompanics Unlimited in America but has been relaunched in 2010 in a new colour edition by the British O-Books. Valerian was regarded in medieval times as a general panacea and was commonly grown in monastery gardens. Many years ago I had a problem with prescribed medicine when I was given Valium for anxiety and depression. I became addicted to it and found it very hard to break my addiction but eventually succeeded. Because of that very bad experience I have become a great believer in alternative remedies and Valerian is my first choice for insomnia and bad nerves. Thanks for your comments, Larry, Lee and bridalletter! I learned a little about the herb when I was a sleep tech. I didn't know Kitties like it so much. Cute video, I think she cleaned the floor. Viva valerian! My tea shop mixes the root with chamomile and St. John's for our potent knock-out tea, which has become popular among valrian users for having a more tolerable taste and aroma than straight up valerian root tea. I prefer to have valeriana walachii in my private stock, it seems to pack a bigger punch (at least for me). Have 5 valerian plants in my garden getting ready to harvest this fall, I love when the buds open in summer how they have the faint smell of cherries, very different than its big, stinky roots! Nice tip on your book, think i'll check that out. 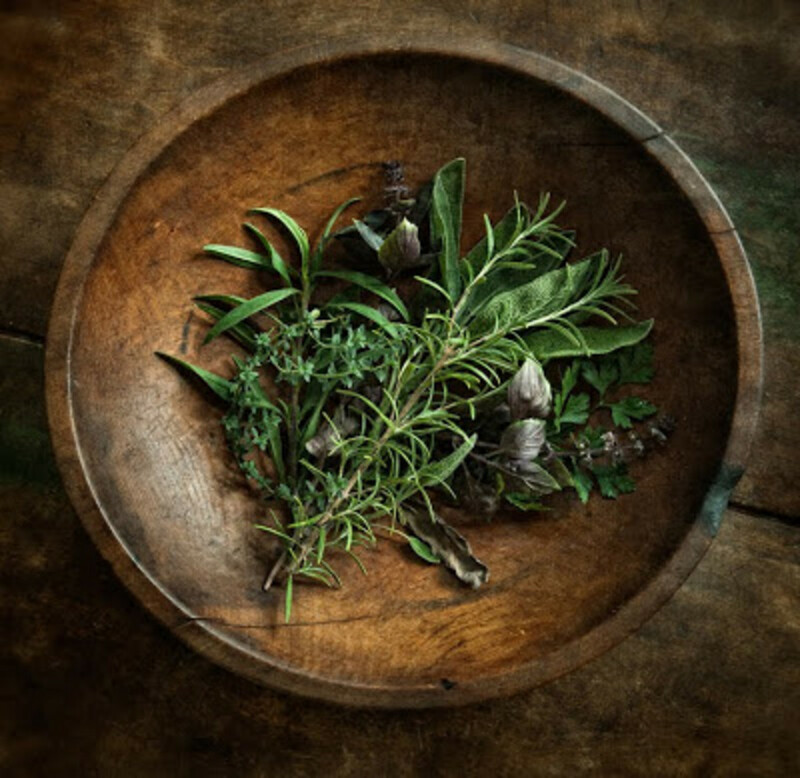 Thanks for writing about our beloved healing herbs - be well. Why buy it when it can be grown very easily and in most climate zones, from 4a to 9 in USDA growing zone typing. It can be grown from seed or root cuttings. It can also be invasive and, to counter that and have a better quality herbal medicine, it should be thinned agressively every three years. Thanks for voting up and sharing, Georgie! I don't know why but, as a sleep aid, valerian does not work for me. I'm a tough cookie! I think it's because my internal clock likes to go to sleep no earlier than 5AM. For anxiety, though, I highly recommend it. Great Hub, voted up and sharing! Stephen, try searching for valerian seeds on the Internet. GTF, I have not heard of it being used that way but it soothes so why not? 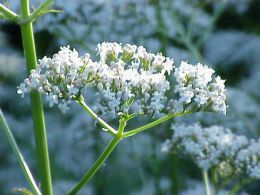 I had a friend who used homeopathic remedies and I could swear that he used a cream form of valerian for cuts and sores. Can it be used like that too? This was and interesting hub.